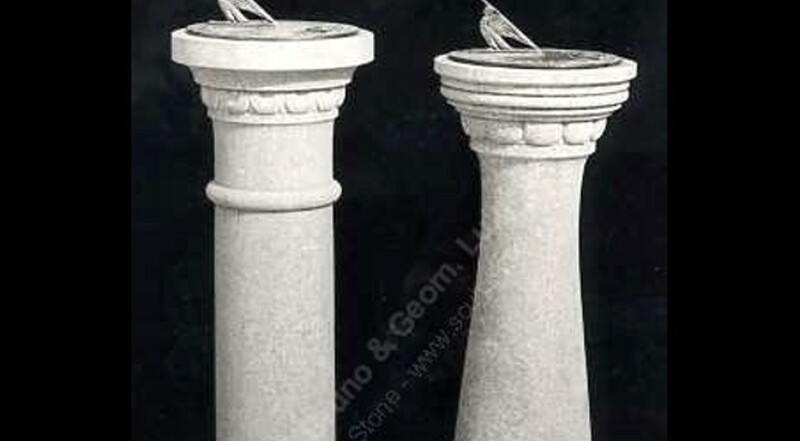 Antique garden or horizontal sundials stone bases round-shaped with leaves and bugne decoartions. On the top the classic bronze sundial plate can be customized to follow customers tastes. The general form of the sundial base was in the antiquity a baluster, round or square in section, plain or enriched with sculptured ornament. This antique sundials have 18th century origin. A sundial is always welcome in gardens and pleasure grounds, not only as a distinctive ornament, but as a link with the ancient gardens. Although in these days, when everyone carries a watch and when clocks are many, it has all but lost its original purpose, yet it is still pleasant in summer days to read the time by the sun on an old dial.